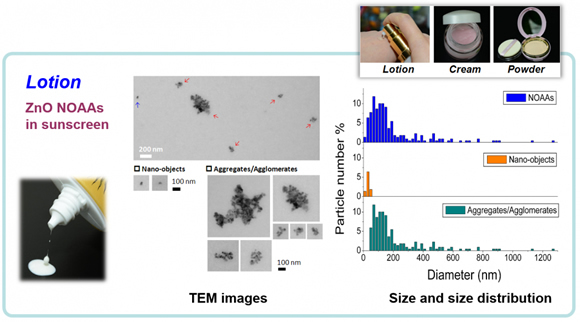 K-kit can be used for characterizing NOAAs in cosmetics in final product forms, including lotion, cream, and powder, to assess the safety risks of nanomaterials in cosmetic ingredients. Definitive – Direct observation in final product form or relevant media, minimizing artifacts. Quantitative – Image-based statistical analysis of aggregation and agglomeration as well as particle concentration. Comprehensive – All physicochemical characterization requirements can be addressed.